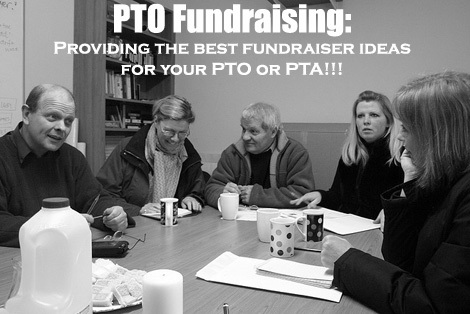 A PTO fundraising campaign is a great way of fundraising for your school and the different causes associated with it! An organization set up to benefit the school, which includes both the teachers and the parents of the school. A PTO, also known as a PTA (Parent Teacher Association), has many different purposes but we are obviously going to focus on PTO fundraising! But what you must realize is that your PTO and its associated school is a unique entity. Fundraisers that may have worked for other schools, PTO's, or causes, may not necessarily work for your PTO. 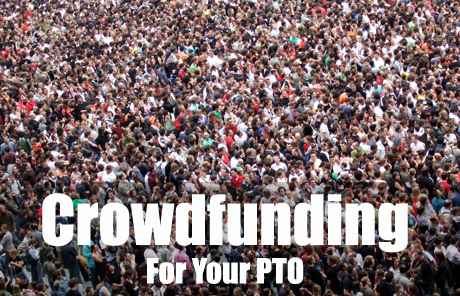 You need to think carefully about your PTO, your school, the kids who attend it, their parents, and its supporters, when deciding on what fundraisers to use. And obviously use fundraising ideas that will work well for your unique PTO! On the other hand there are a few fundraisers that, if done properly, will work well for any PTO, School, or cause. For example the Online Donations Fundraiser where you create a free online donation page, share and promote that fundraising campaign page, and then collect donations. You can setup your FREE donation page here. And then of course there are fundraisers that your PTO and School just HAS to be using! 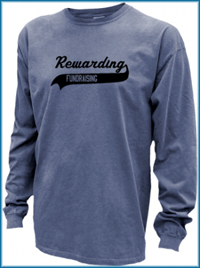 Like Online Apparel PTO Fundraising through Spirit School Apparel. What I would suggest is that your PTO gets together to discuss the PTO fundraising campaign. During these discussions you should have brainstorming sessions to come up with fundraising ideas that would be best for your cause. For all schools and associated organizations this is one of the first fundraising campaigns that I always recommend. In fact, like I said above, it is a fundraiser that every school should be using. So how do you run Apparel Fundraising Online? Through an Online Apparel Store on SSA. It's free to set up and free to run. You never have a cost for printing etc. You can customize the apparel available with your logos, mottos and labels! The Apparel is excellent quality and there is a wide range of different Apparel for customers to choose from. It also has the benefit of being easily accessible for your supporters, as it is online, and you can also fundraise through supporters all over the country! You then make 20% profit off every item of Apparel that gets sold through your online store... Which is a brilliant profit margin for Apparel Fundraising. Just make sure you read the entire Online Apparel Fundraising page to get the most out of your Apparel Campaign. For more on Apparel Fundraising also read here. A golf day is one of the best PTO fundraising events that you can hold. It has so much potential to bring in huge funds. There are so many different ways that you can fundraise throughout (and before) the day! But like all events it does take much effort and work to organize and run properly. I would still recommend it! Read the Golf Fundraising Ideas page to get the most out of your Golf day. There are loads of different and profitable events that your PTO could hold like a Food Taste Fundraiser or a Soccer Fundraiser Tournament! You should use a couple of events every single year and look to make some of them annual. But don't hold too many as they can be tiresome to organize! A hassle free fundraiser is a fundraising idea where you don't sell products or run an event, therefore it's Hassle Free. Instead you send out a request to all parents and supporters to donate $5/$10/$20 in lieu of having to buy a fundraising product! A brilliant way to run this fundraiser is online through a crowdfunding (online donation) website. Setup you FREE fundraising page here. Make sure you read the 10 Step Guide to Online Donation Drives, before setting up your PTO fundraiser. And also see what this visitor contribution has to say about the Hassle Free Fundraiser. Raffles will always be one of my favorite fundraisers and any fundraising campaign just wouldn't do without one. Raffles can also be used at any events that you hold. There are a couple of things that can make your raffles really successful so make sure you read the fundraiser raffle ideas. And check out this list of super cool raffle ideas. Your supporters win because they get discounts at different stores. And of course your PTO and School wins because it fundraises successfully!!! This is one of the most simple and rewarding product fundraisers that you could use. I'd recommend you source your fundraising cards from GA Fundraising (click to check out their Card programs). I'd also suggest that you grab their FREE fundraising product guide to see what other products they have and what is currently popular. For more info on running profitable Discount Card Fundraisers read here. There are loads of different fundraising products that will always work for PTO fundraising. You can sell these products individually, or at events, or alongside other products as add-ons! But you have to pick the right ones for your cause, and you need to run that fundraiser effectively for it to be a success! Think carefully about the fundraisers you choose for your PTO fundraising and make sure they fit your PTA and School. It is important that you get that right. Use your brainstorming sessions and look for other ideas! And remember that teamwork between the teachers and the parents is essential for your PTO fundraising success. And when you hold a successful fundraiser make sure that you come back and tell your success story here on the Successful Fundraising Ideas page!